This May, join Transportation Alternatives and thousands of other New Yorkers as we kick off the bike commuting season with a bang. With the Bike to Work Challenge, the Bike Home from Work Party, and tons of other programming, Bike Month is a celebration of how we cycle in our city. 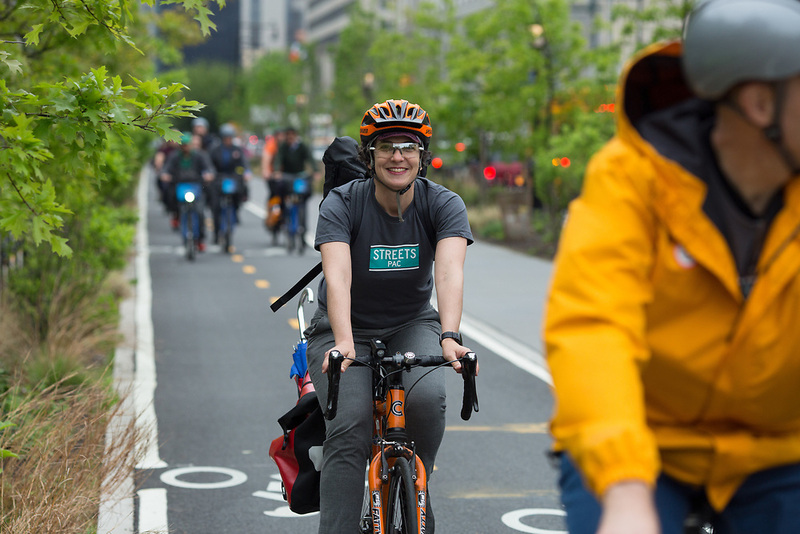 Workplaces in all five boroughs are welcome to join the Bike to Work Challenge, whether you are a team of one or of thousands. At the end of the month, we’ll crown the workplaces with the highest number of trips logged per number of employees. So put your mettle to the pedal and invite your co-workers to bike commute for the month of May. Check out our FAQ for more details.